Mali midfielder Drissa Diakite has joined Greek side Olympiakos from French club Nice on a one-year deal. The Greek champions have snapped up the 27-year-old before their transfer window closes on 15 September. "I am very happy to be in Greece and join Olympiakos, which is a very big club," Diakite told the club's website. "The chance to play in the Champions League played an important role since it is the dream for every footballer to play in that competition." He added: "I did not hesitate to make the decision." Diakite was immediately added to the Olympiakos squad list sent to Uefa on Tuesday. The club face Arsenal, Montpellier and Schalke in Group B of the Champions League. 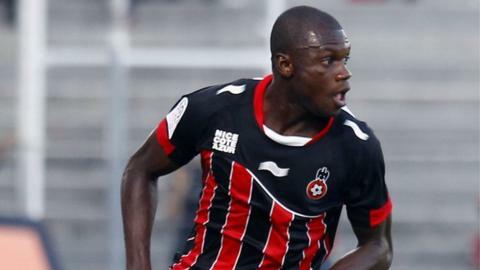 He has 17 caps for his country and played in every minute of the Mali's matches at the 2012 Africa Cup of Nations, apart from the the 2-0 win over Ghana in the third place play-off - only missing the game because of injury. Diakite made more than 150 appearances for Nice after joining the club in 2006.